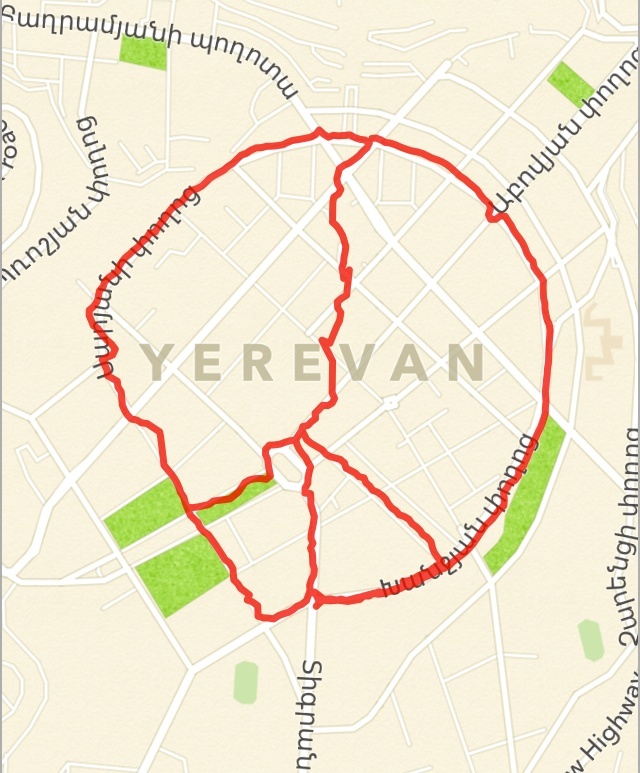 As an outsider to Yerevan, a map served as a logical tool for my early orientation in the city. At some point during this way finding, the city streets jumped out at me as the peace symbol. As it relates to “In and Between the (Re)public”, the act of making the work happens in the public sphere but remains a private affair, with no outward signs that this inscription is taking place. As a GPS drawing, the work plays with the notion of public surveillance, but defies the surveyors through purposeful activation of the tracking technology. The product is virtual and disembodied but the process is real and embodied. 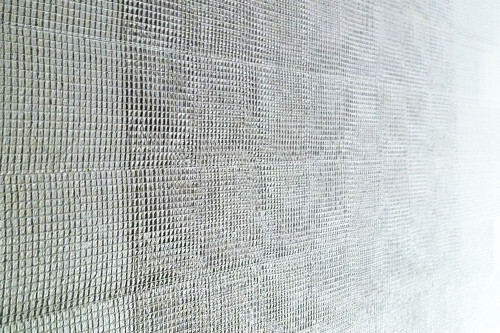 The product is imperfect but the process is negotiated rather than dictated. The product is one of a kind but the process is reproducible and encouraged.